One morning, while eating breakfast, I was thinking about the kind of image that I wanted for my newly forming publishing company. I wanted a mascot, something lighthearted yet meaningful. I was having trouble coming up with anything, when suddenly, a squirrel climbed on my backyard deck and looked at me through the window. 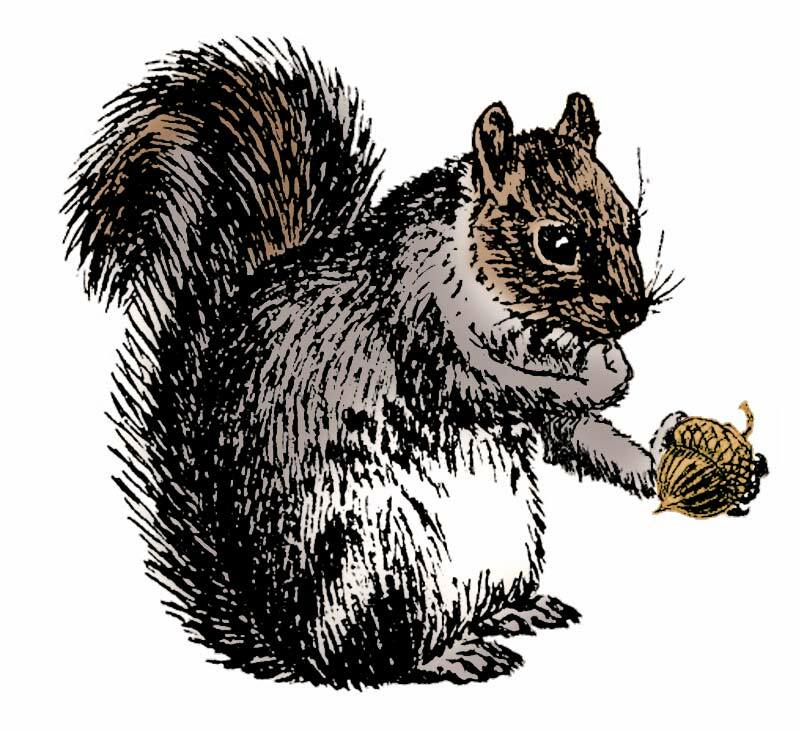 He was holding an acorn, and it seemed like he was both pondering (an HSP characteristic) and enjoying his current activity. I thought to myself, “This is it…the squirrel is the perfect symbol for my company!” I started to think about this concept a little deeper (another HSP characteristic) and began to question my sanity about using a squirrel for my company mascot. The deeper I thought about it, the more I was convinced that this was the right decision. “Why not?” I thought. Squirrels, like HSPs, are extremely well equipped to survive in the wild, although some of us don’t think we can. HSPs, like squirrels, are often solitary creatures with shy tendencies, are conscientious, and tend to avoid confrontation with the unknown. In that moment, clarity came to me, and “Acorn” was brought to life. There’s a lesson in this story. Your HSP power of observation and reflection are very important factors in solving a problem. Pay attention to everything around you. Your answer may come from something you read, hear, or in some cases, may be right in front of you!